Facing deportation can be frustrating and frightening. But a removal action by the government does not have to result in expulsion. Versfeld & Hugo, LLC has successfully represented hundreds of people before the U.S. Immigration Court and Board of Immigration Appeals. 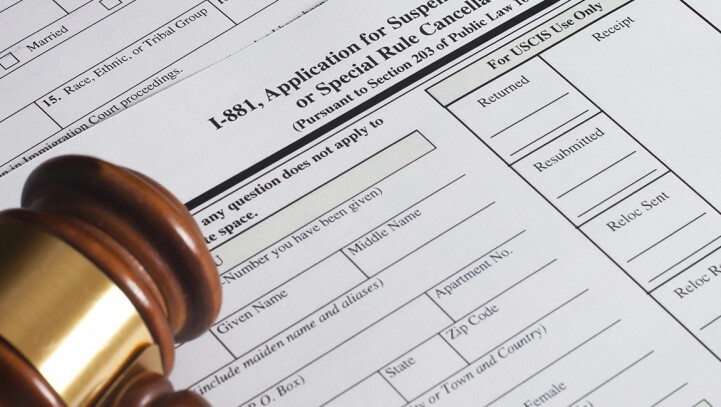 Through affirmative defenses and waivers, we have helped clients remain in the United States. After a person is arrested or undergoes an investigation, a removal proceeding is scheduled to determine whether he or she will be deported. The immigrant receives a “Notice to Appear” (NTA) from Immigration and Customs Enforcement, part of the federal government’s Department of Homeland Security. The removal proceeding is presided over by an immigration judge, who hears arguments from both the immigrant’s attorney and the USCIS (US Citizenship and Immigration Services), the government agency seeking deportations. The judge then hands down an order of termination, relief from removal, or a removal. Removal and deportation proceedings are often initiated because of a criminal conviction or other violation of your visa status. If you are accused of violating your visa status, having a deportation lawyer on your side is important to protect your rights and to maximize your chance to stay. Withholding of Removal (prevents removal to a country where the involved individual has a clear probability of suffering persecution based on any number of factors. It is only for those in removal proceedings). The Immigration and Nationality Act imposes harsh sanctions on non-citizens in the United States who violate the law. Because this area of immigration law is subject to change rapidly through congressional amendments, DHS action, and court decisions, it is especially important to consult an immigration lawyer before accepting any plea agreement or having contact with DHS after a conviction is sustained. The experienced immigration attorneys at Versfeld & Hugo, LLC regularly consult with, and are consulted by, criminal defense attorneys. We are available for advice if the criminal defense attorney is not familiar with immigration law, or just wants to confirm his or her opinion with an expert in the field.